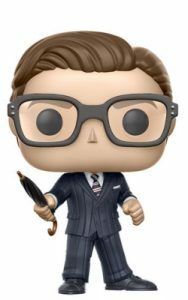 While manners maketh the man, it is the pin-point precision that makes the Funko Pop Kingsman set as unique as the film. The Pop! Movies vinyl release features several subjects from Kingsman: The Secret Service. Highlighting the best (and worst) of classic spy movies, Kingsman delighted audiences with stunning action sequences and comedic character quirks. Harry Hart, a.k.a. Galahad, the secret organization’s top spy, is the quintessential English agent. 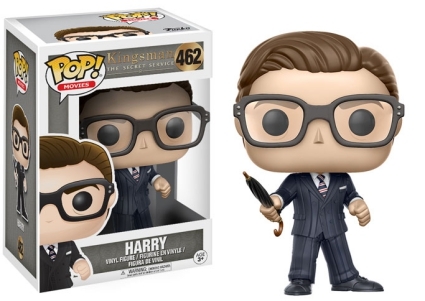 Remarkably, the figure for Harry in Funko Pop Kingsman features the gentleman with perfectly parted hair wearing a blue suit and Oxfords (not Brogues!) while brandishing his disguised weapon of choice—an umbrella. 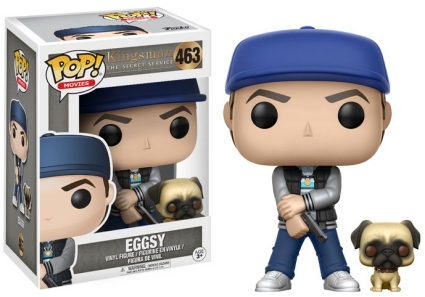 In contrast, Harry’s recruit Eggsy is posed in "street" attire, his arms slightly crossed and wielding a pistol. 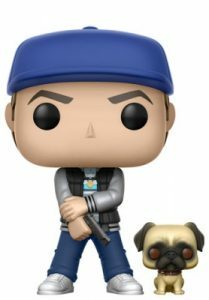 Eggsy also comes with his Pug, JB (Jack Bauer). Purchase the Kingsman movie on Amazon. 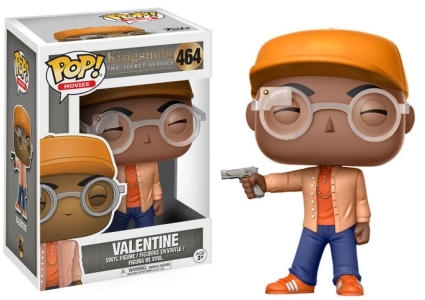 Switching to the bad guys, Funko Pop Kingsman includes memorable villains Valentine and Gazelle. Valentine, portrayed by Samuel L. Jackson, is dressed in varying shades of orange and blue jeans. The billionaire stands with his eyes closed while pointing a pistol to the side. Meanwhile, the option for Valentine’s assistant Gazelle—whose lower legs are replaced with blades—rests atop a stand in an action pose. This unique Gazelle Pop! 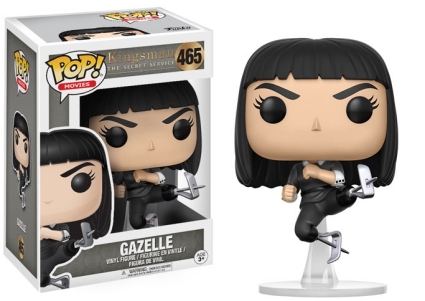 is not the first for Sofia Boutella, as she is also included in Funko Pop Star Trek Beyond (Jaylah) and Funko Pop The Mummy (The Mummy/Princess Ahmanet).